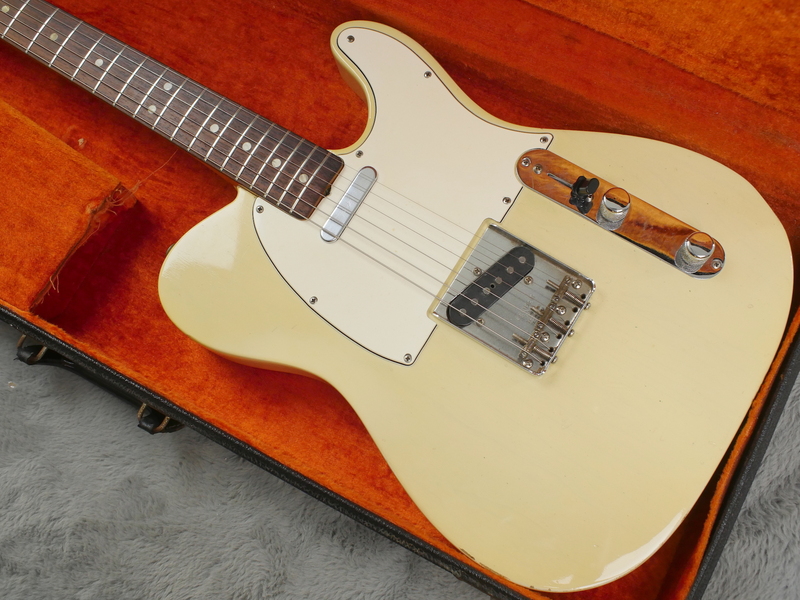 The guitar looks great. 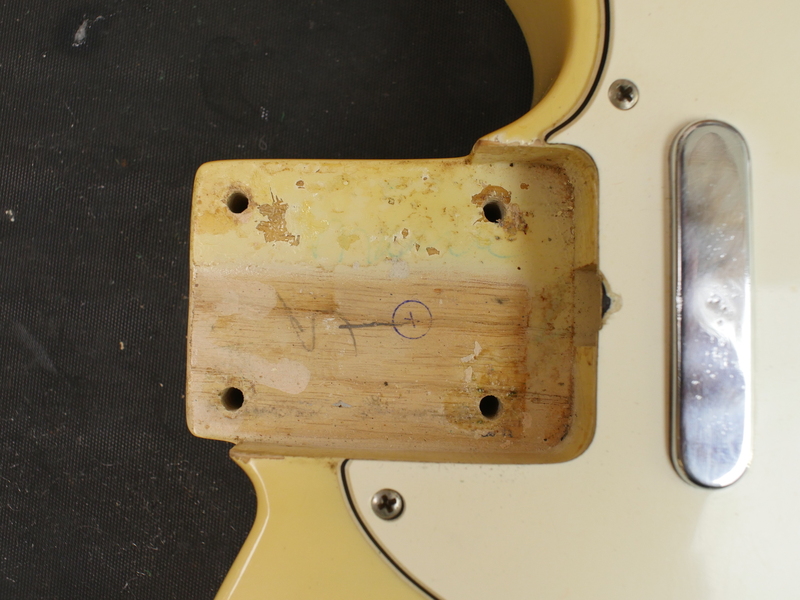 Both front and back show very light signs of wear with a few dinks here and there. 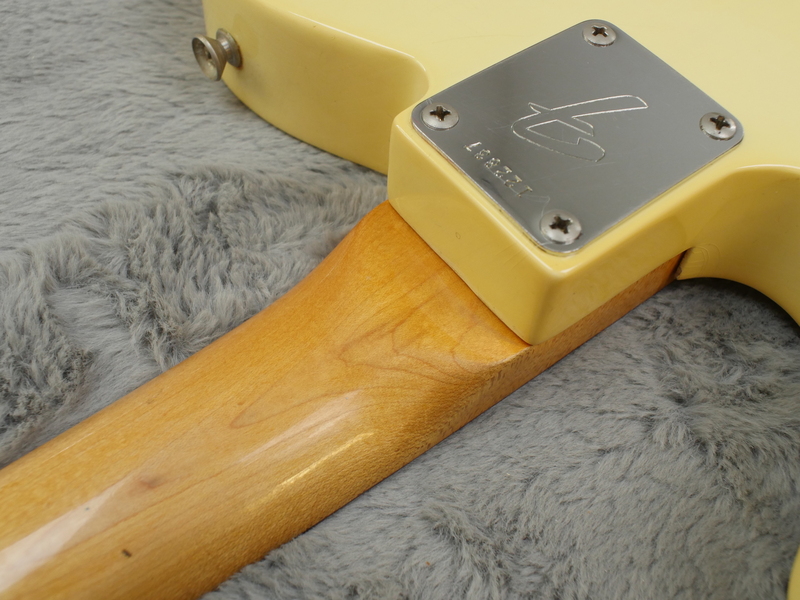 There has been some bleed onto the finish from the case which has tinted the back and a little of the side but this is not too obvious. 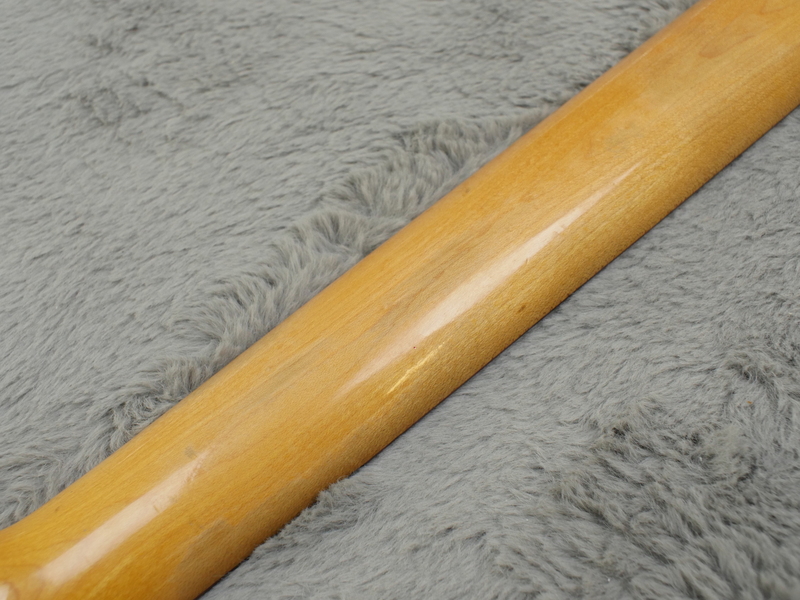 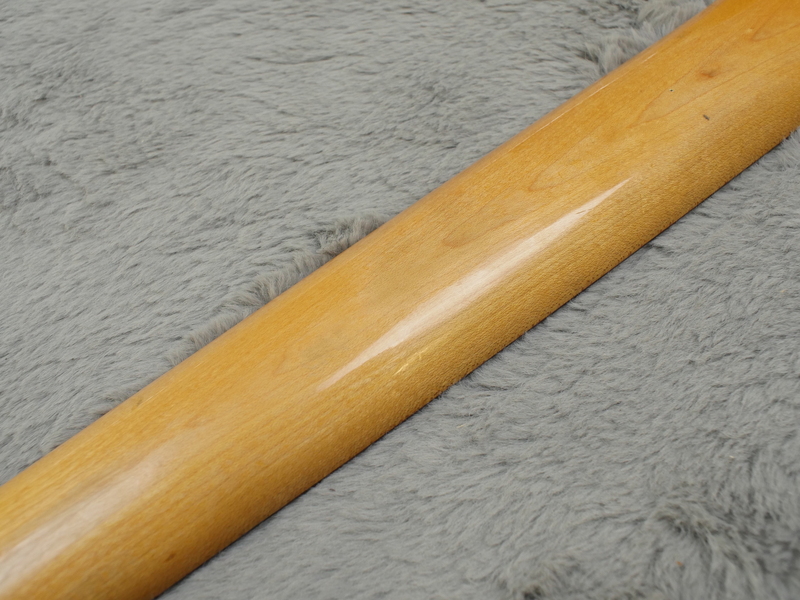 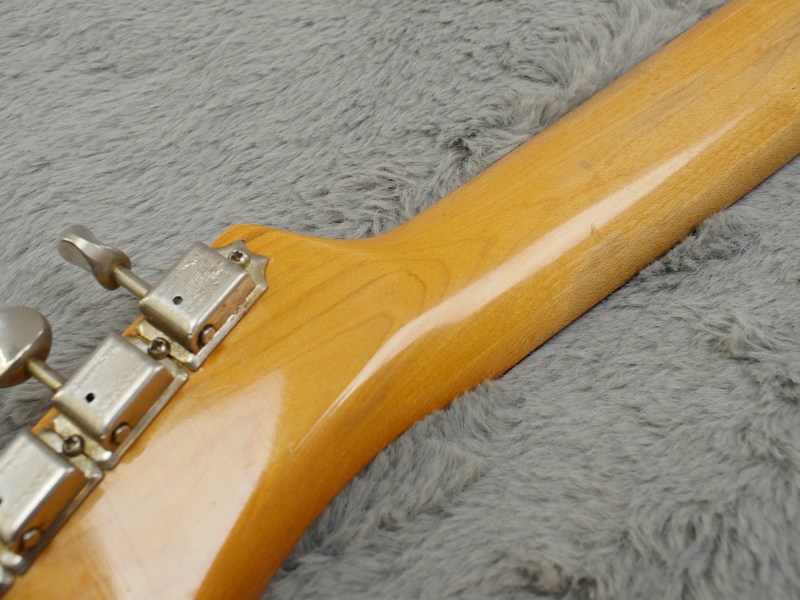 The finish on the back of the neck has worn in a few places and is very comfortable. 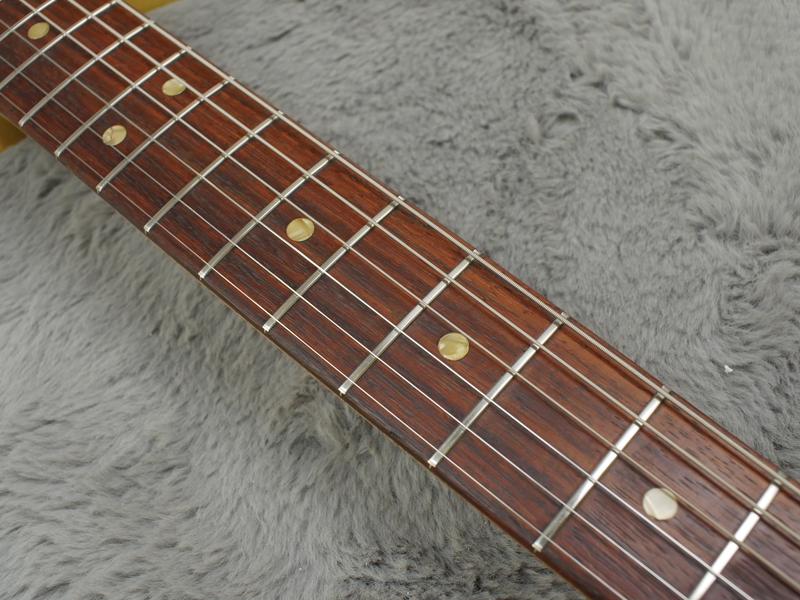 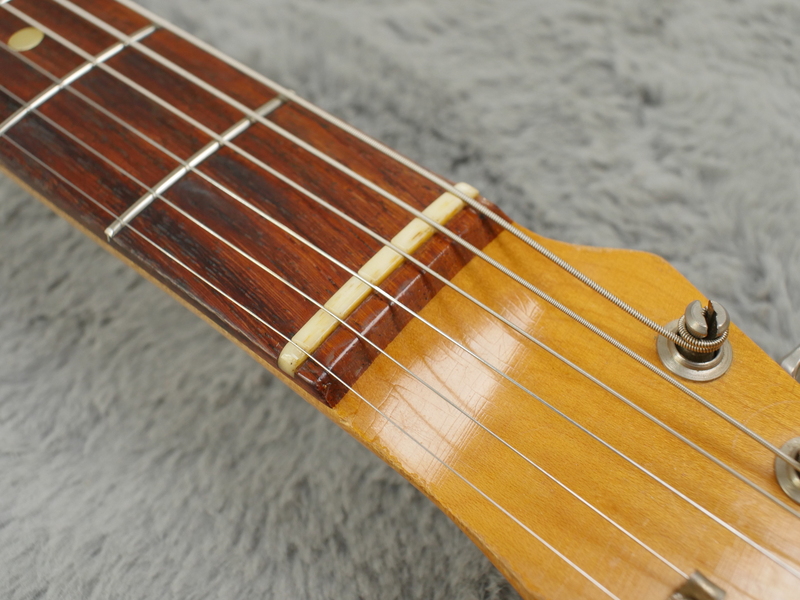 The frets are evenly worn up the neck and still have some life left in them. 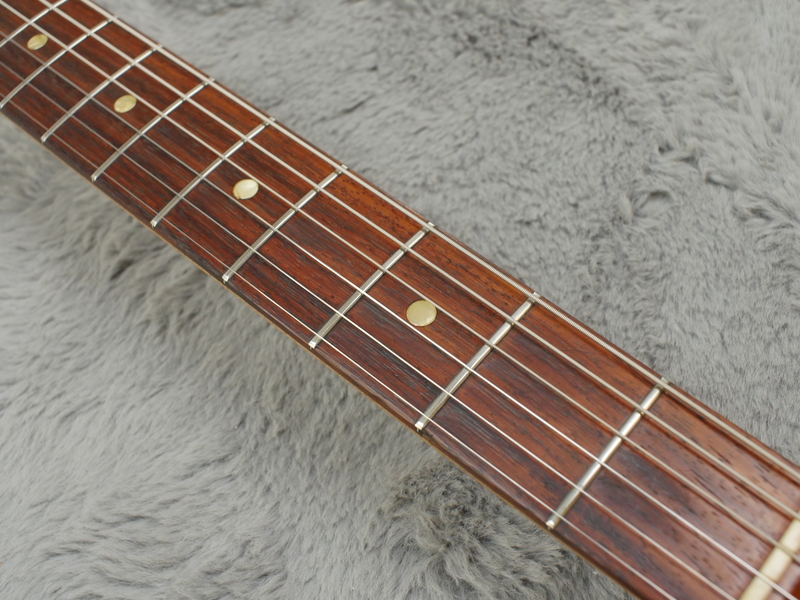 The fretboard itself is in great shape with no sign of pitting. 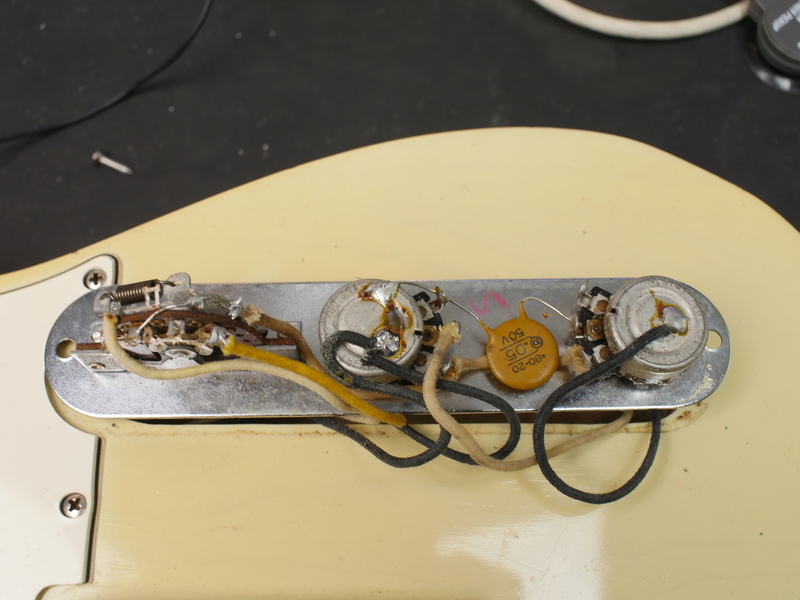 The electronics are all correct but some of it has been rewired to post 1967 so its more in line with modern Telecaster sound. 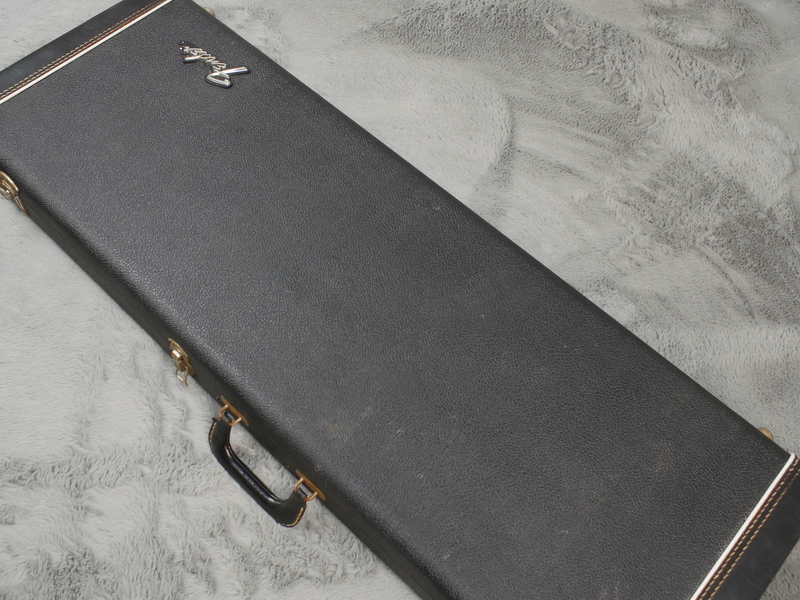 The guitar comes with the correct Fender black tolex hardshell case with orange lining. 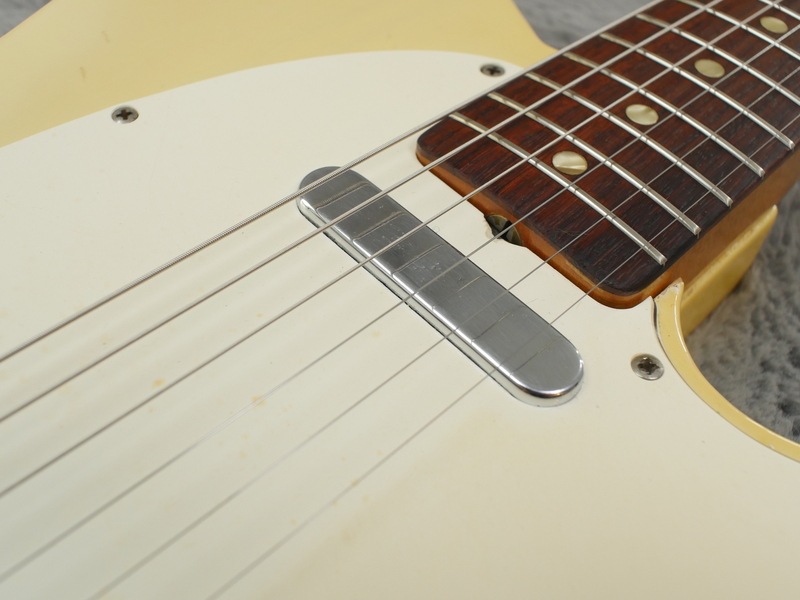 This guitar’s ash body has quite a resonant tone with a bite that sits wonderfully with the bridge pickup. 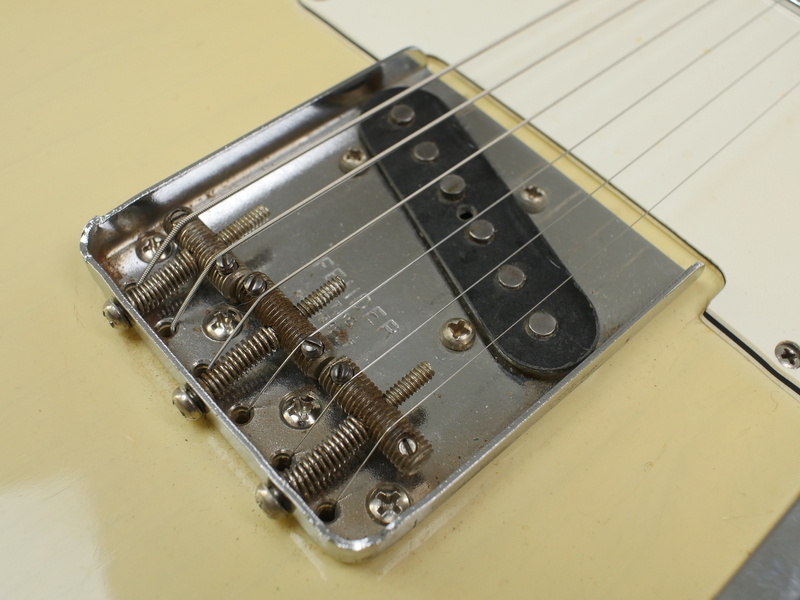 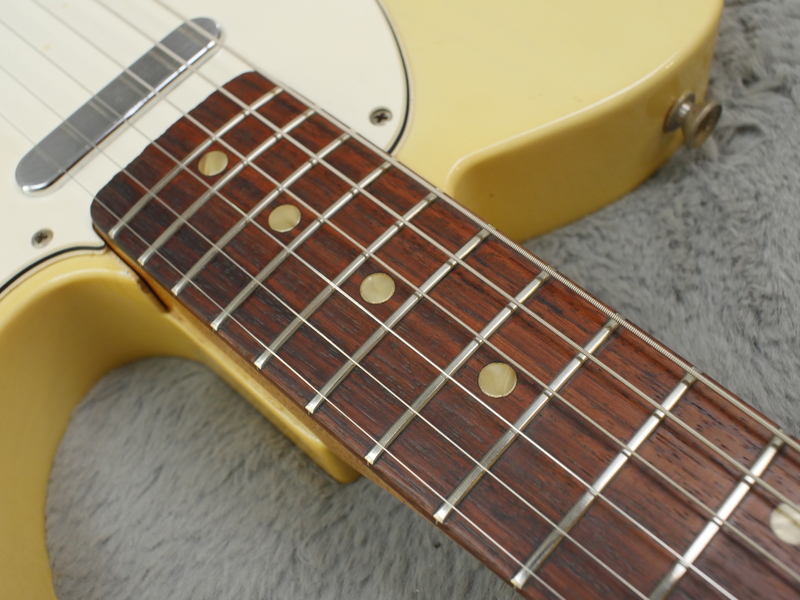 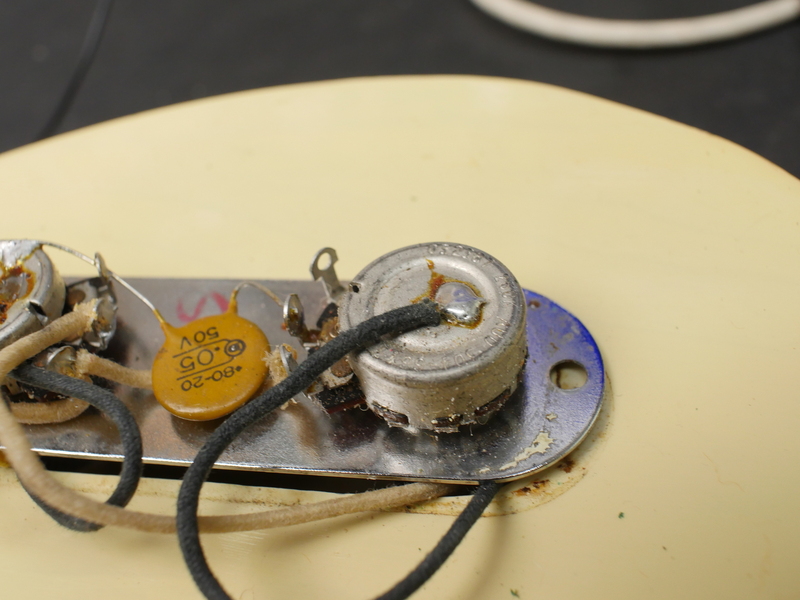 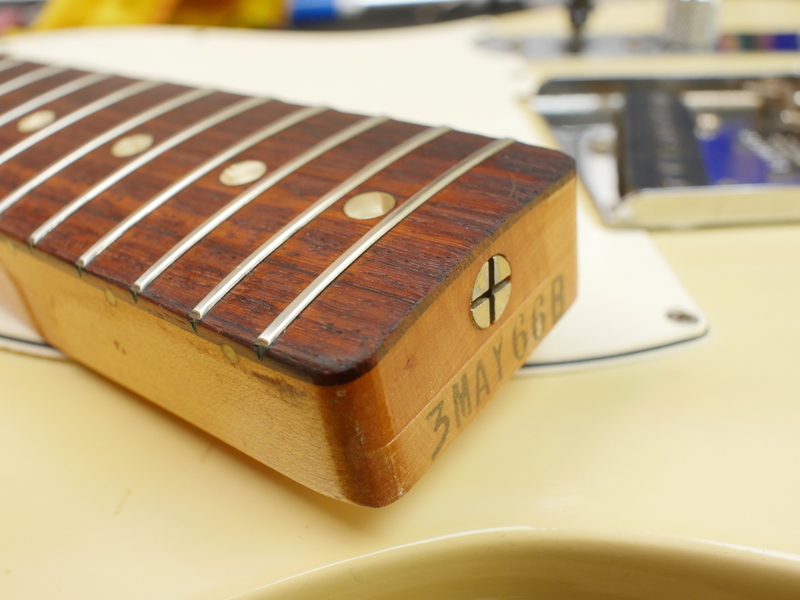 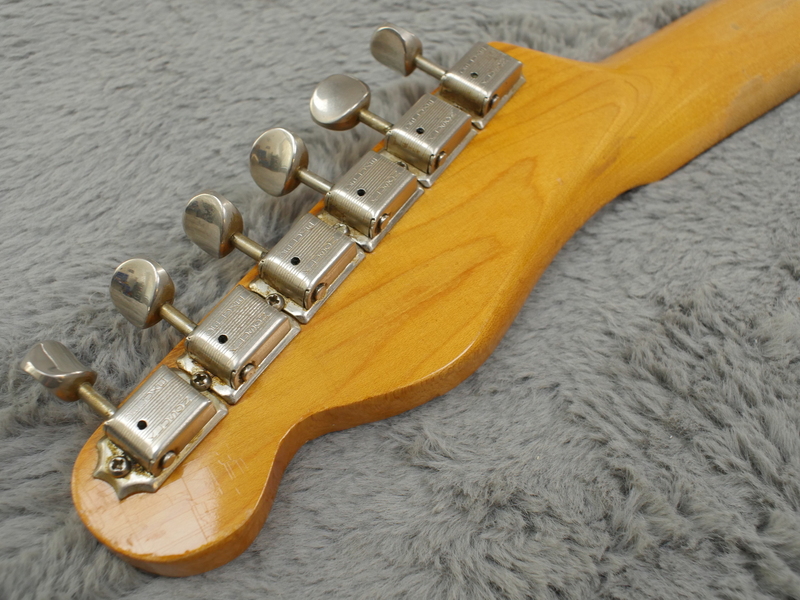 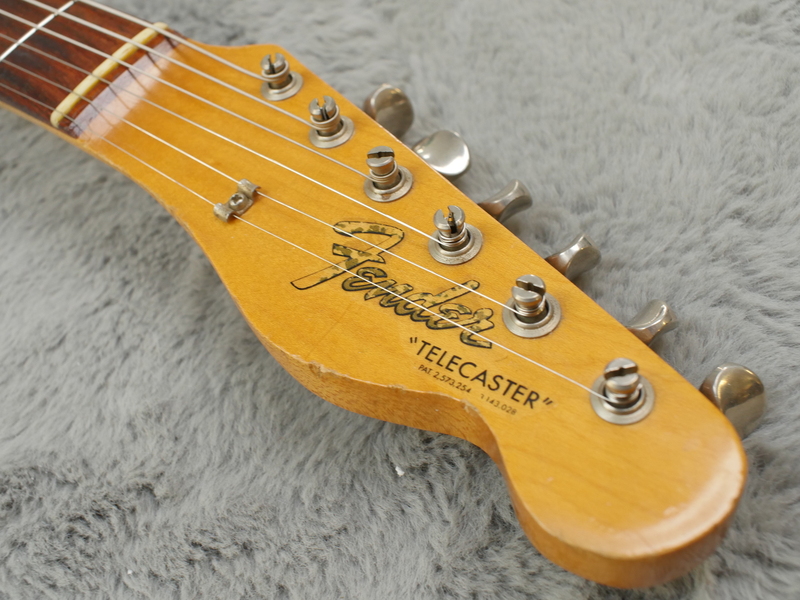 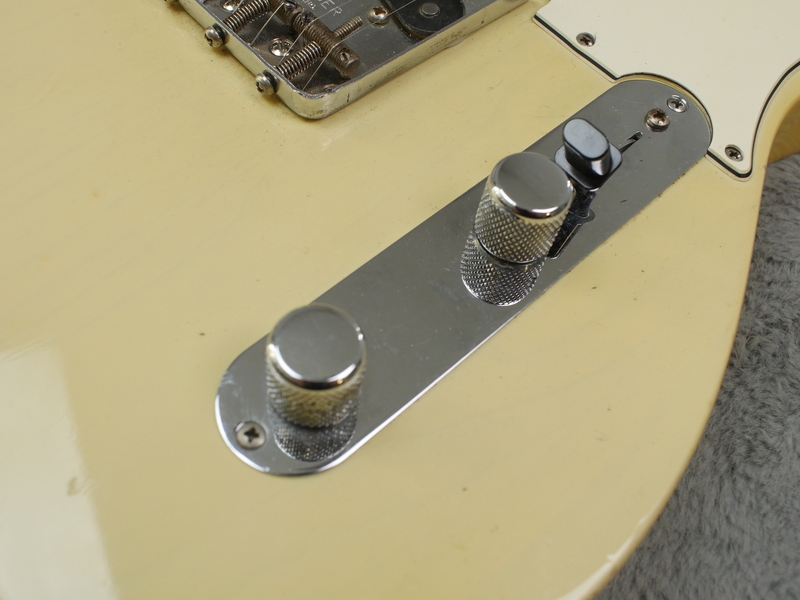 The neck pickup has a darker tone which mixes well in the middle position. 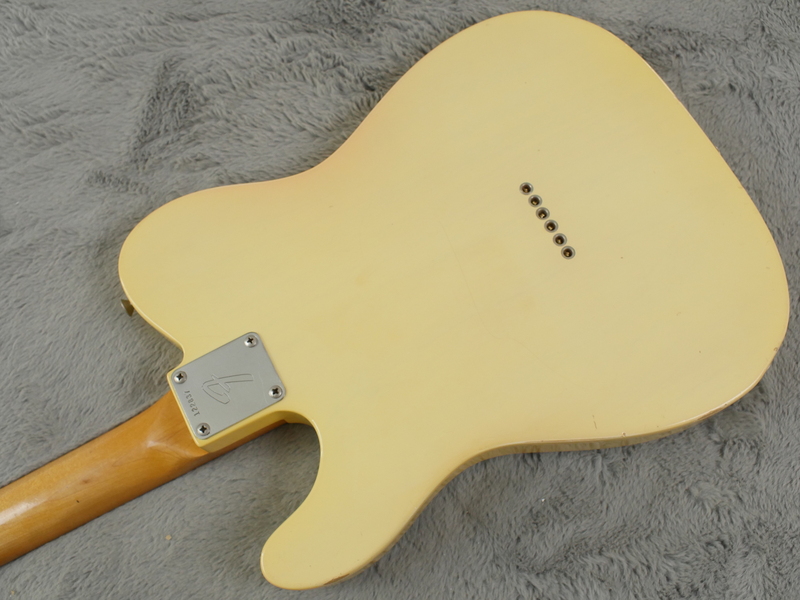 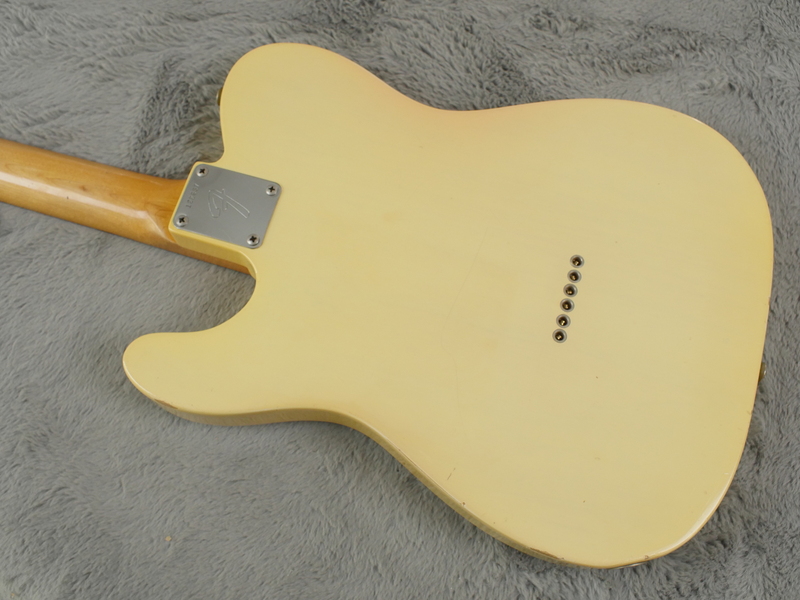 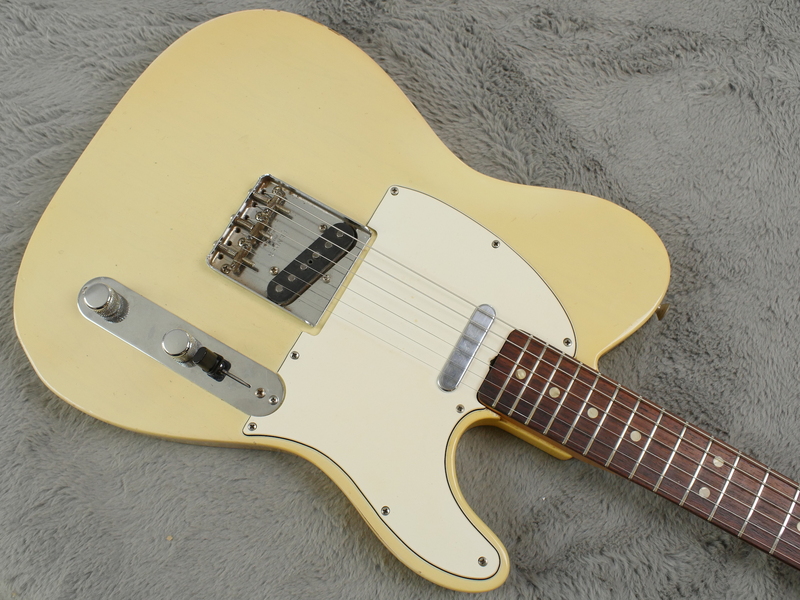 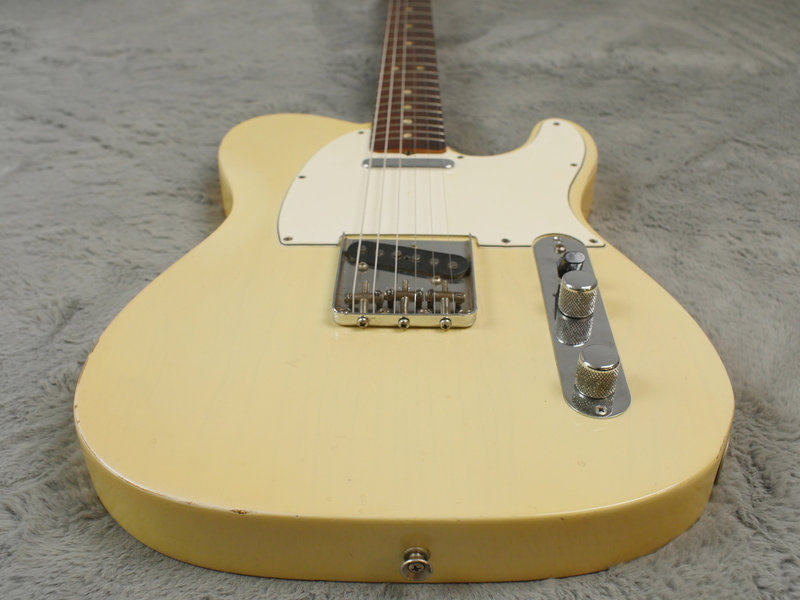 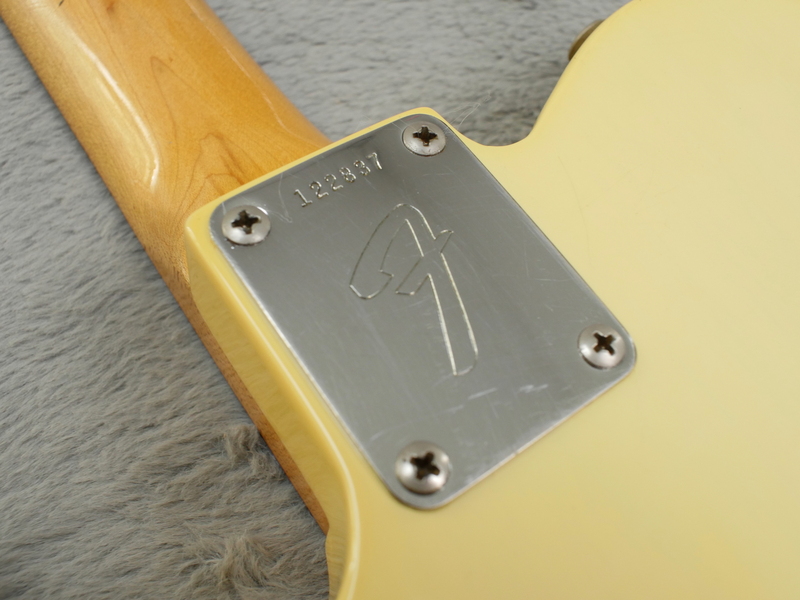 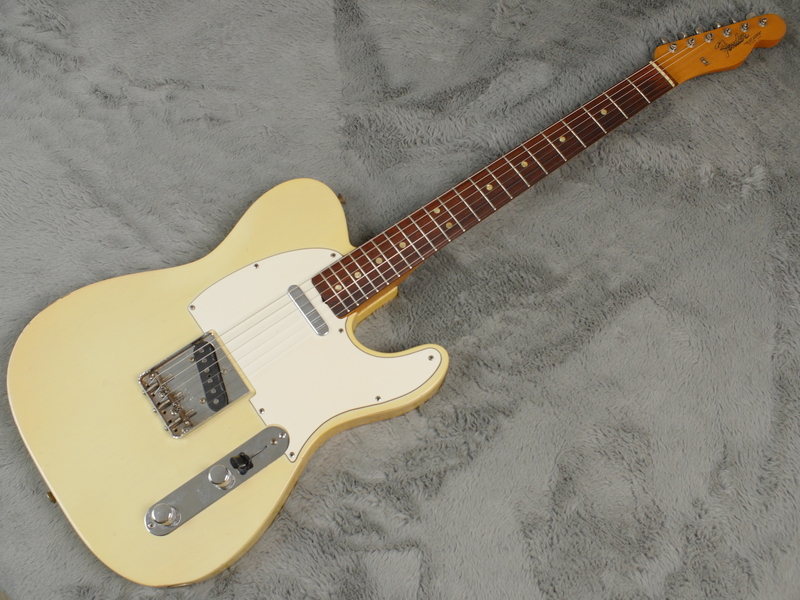 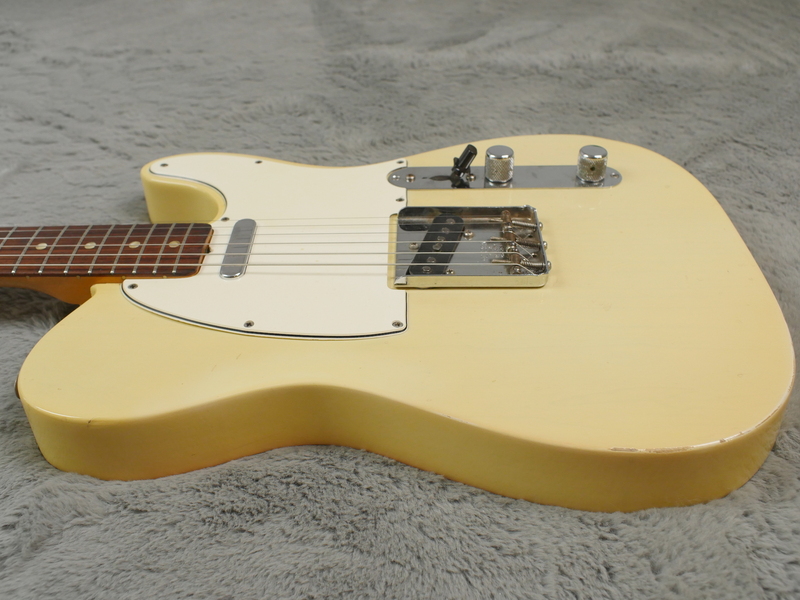 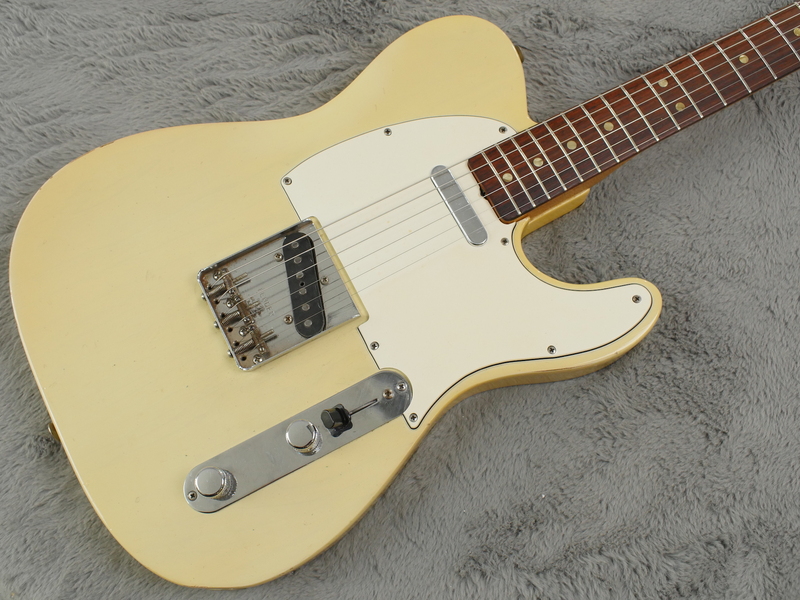 This guitar isn’t shrill but has plenty of the attack we look for in a good telecaster and is typical of the transition era Teles that are not quite as shrill as the later models. 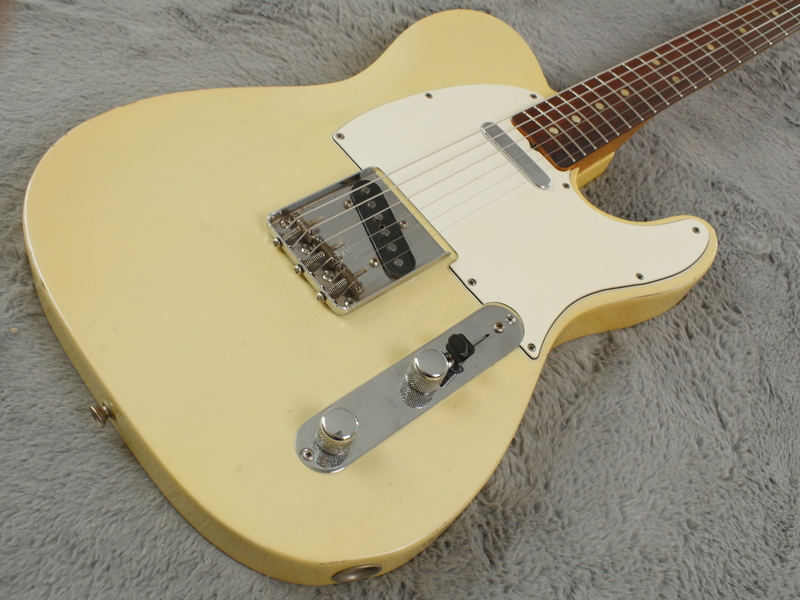 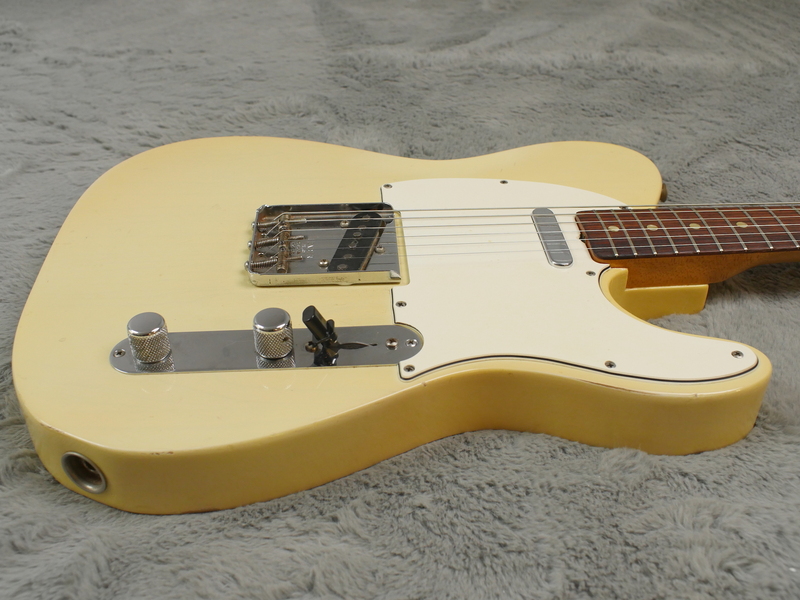 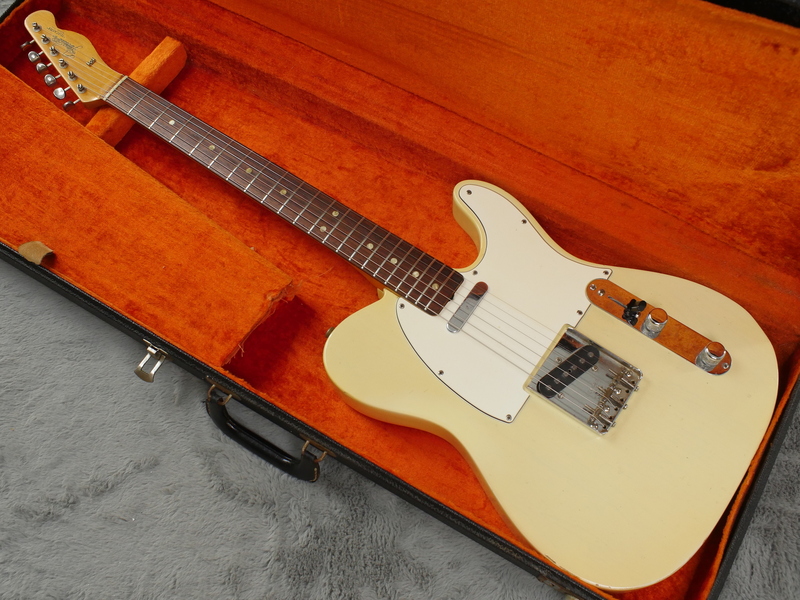 This guitar delivers the the twang that you expect form a telecaster without the shrillness that plagued later incarnations, and it looks stunning to boot! 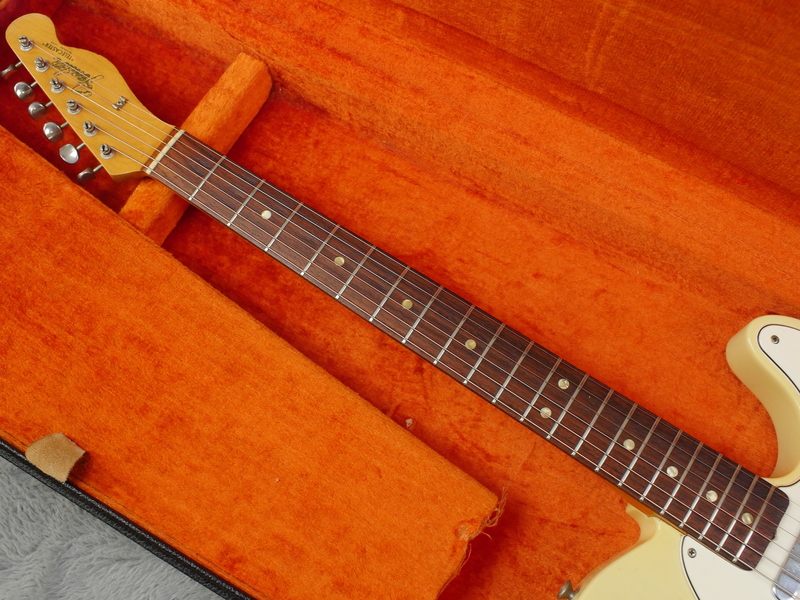 Grab it before it gets away….